Denis Villeneuve and Legendary’s long-awaited adaptation of Frank Herbert’s sci-fi epic novel Dune is making some major strides forward by rounding out the cast, with both Oscar Isaac and Zendaya Coleman in-talks for major roles. According to Variety and Collider, Isaac and Coleman are in the running to portraying Leto Atreides and Chani respectively. Leto serves as the father of protagonist Paul Atreides (Timothée Chalamet), while Chani is the woman Paul loves. Neither have been officially cast, but Isaac is closer to accepting than Coleman is. Aside from Isaac, Coleman, and Chalamet, Dune is assembling a strong array of stars, including Dave Bautista as Rabban, Stellan Skarsgård as Baron Harkonnen, Rebecca Ferguson as Lady Jessica, and Charlotte Rampling as Reverend Mother Mohiam. In spite of the cast being assembled, the film does not yet have a release date planned. The movie will be produced by Villeneuve, Mary Parent, and Cale Boyter, with Brian Herbert (the author’s son), Byron Merritt, Thomas Tull, and Kim Herbert serving as executive producers, and Kevin J. Anderson as a creative consultant. The screenplay will be co-written by Villeneuve, Eric Roth, and Jon Spaihts. Dune is set tens of thousands of years in the future on the planet Arakkis, or Dune as it is also known. 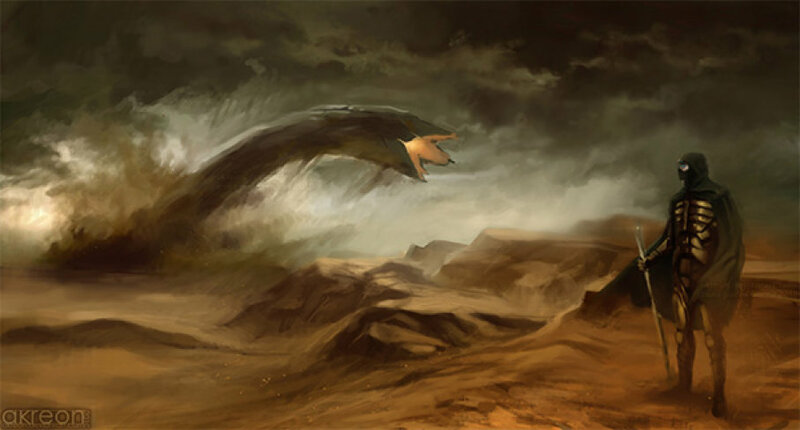 Set in a world where artificial intelligence is outlawed but a miraculous substance called Melange (or “The Spice” colloquially) allows humans access to extraordinary abilities, and colossal sandworms roam the many deserts of the planet, two rival houses compete over control of the planet’s cities. When the Harkonnen house stages a coup to completely destroy the Atreides house, Leto Atreides dies when attempting to kill Vladimir Harkonnen, while the survivors escape to the desert and meet the Fremen people. The Fremen people see Paul as the Kwizatz Haderach, the messiah that they have waited generations for, and the young man must accept his role as a leader and master his newfound psychic abilities in order to oust Vladimir from power and free Arakkis from his tyranny. The film does not yet have a release date as of yet, but filming is expected to begin in 2019. A sequel is also planned, although its performance depends upon the first movie’s success. For more news on Dune, stay tuned to Movie News Net.